In this book, we can read details on the history of the battleship Yamato. 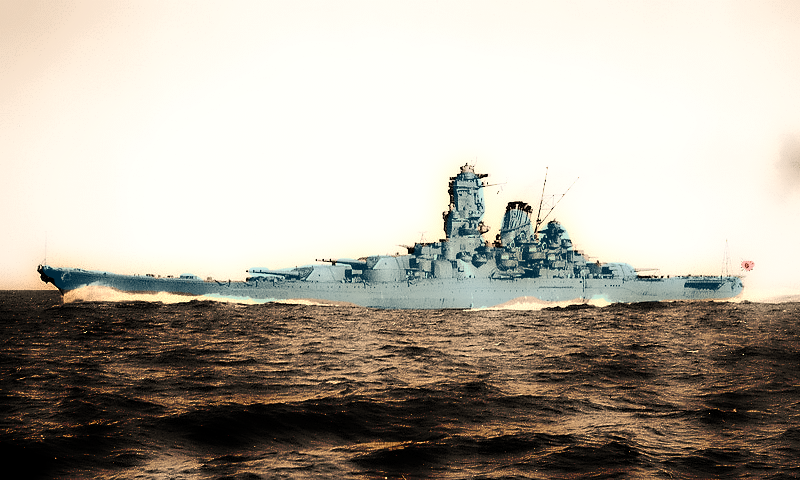 The Yamato class battleships of the Imperial Japanese Navy were the largest warships of the Second World War and the largest battleships ever constructed, displacing 78,800 tons. They also carried the largest naval artillery ever fitted to a warship – 18in guns. Neither Yamato nor her sistership Musashi made much impact on the War. Musashi was sunk during the battle of Leyte Gulf while Yamato, deployed in a deliberate suicide attack on Allied forces at the battle of Okinawa, was finally sunk by US carrier-based aircraft; Not 300 of her 3,330 crew survived.This includes paint schemes and camouflage, featuring color profiles and highly-detailed line drawings and scale plans. The modeling section reviews the strengths and weaknesses of available kits, lists commercial accessory sets for super-detailing of the ships, and provides hints on modifying and improving the basic kit. The history of the construction of Yamato-class battleship Musashi was very unique and interesting. Akira Yoshimura’s dramatic reconstruction of the birth of the Musashi portrays a nation preparing for total war. Under these extreme conditions, courage, genius, and integrity coexisted with brutality, folly, and paranoia. During the more than four years it took to build and outfit it, shipyard engineers and their Navy mentors were faced with seemingly insurmountable technical problems and plagued by natural calamities and the constant fear of espionage. The solutions they found to each successive crisis were sometimes brilliant, sometimes absurd. Battleship Musashi is a tribute to the men who achieved this engineering marvel and a testament to the excesses of bureaucratic militarism. This book shows very rare and unique photographies on the Japanese battleships, including the Yamato and Musashi Battleships. This unprecedented photographic collection contains 125 stunning black and white photographs of the battleships of the Imperial Japanese Navy. The remarkable images, some very rare, constitute an archive that is almost without equal in the West. The book begins with the launch of Japan’s first contemporary battleship, Yashima, and concludes with the final destruction of the fleet in the Pacific in 1945. In between these two milestones, Japan constructed the third largest navy in the world. All of the fleet’s dreadnoughts saw action in World War II but only the Nagato survived the conflict. She subsequently became a test target in the Bikini A-bomb tests in 1946.